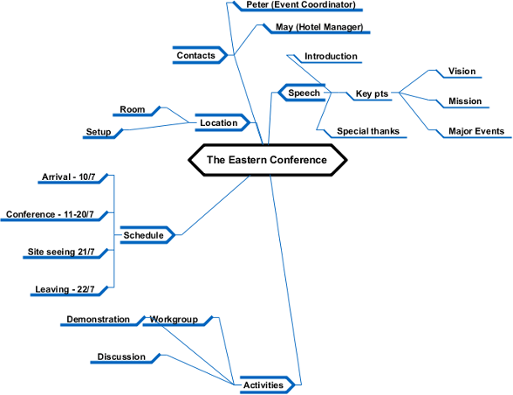 In a mind mapping diagram, ideas are stretching out across, which leads to difficulties in tracing nodes with different ideas due to the unorganized nodes. It will be time consuming to rearrange the idea nodes manually. 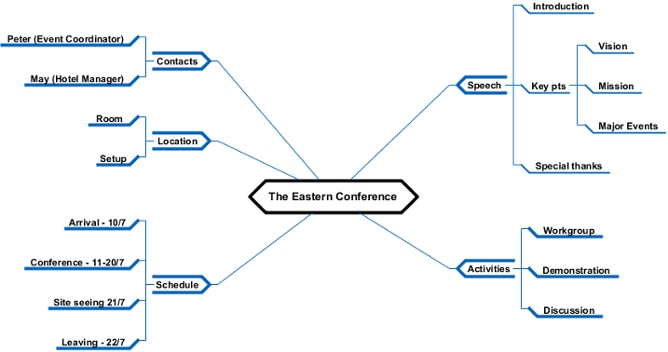 This also affects our brainstorming procedure by caring the tidiness of diagram. By performing a layout, you can keep brainstorming and drawing the diagram without caring about the tidiness of the diagram. You can perform a layout once the diagram is drawn. 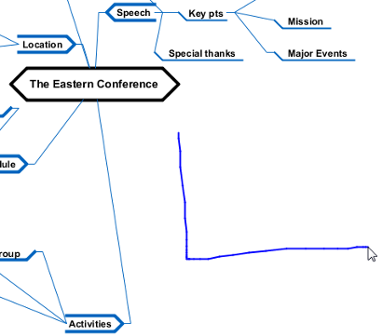 Any nasty diagrams can be well organized in a breeze. 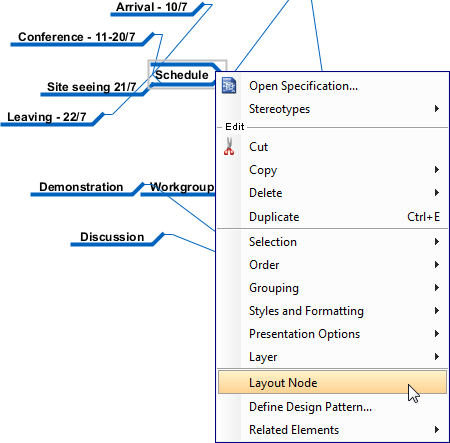 By performing a diagram based layout, all idea nodes in diagram are included in the range of layout. 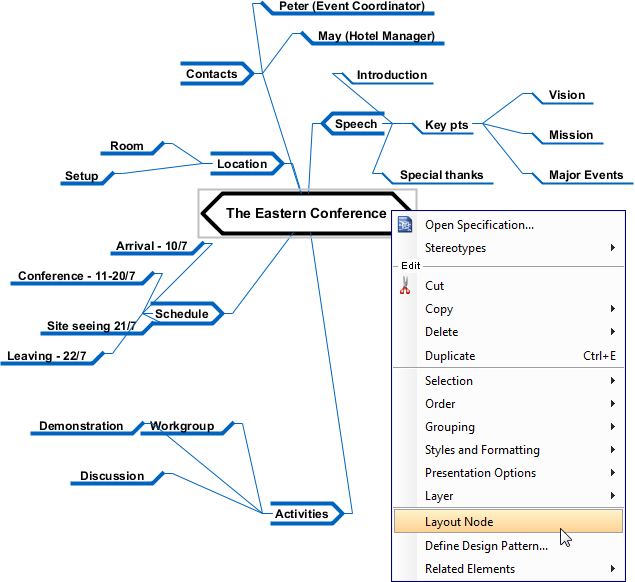 To perform a diagram based layout, right click on the central idea node and select Layout Node from the popup menu. Mouse gesture enables you to layout shapes on a diagram through the movement of mouse. To perform a layout with mouse gesture, right press on the diagram background, sketch a "L" like gesture path and release the mouse button to execute layout. By performing a node based layout, only the chosen node and its descendant nodes are included in the range of layout. To perform a node based layout, right click on the idea node and select Layout Node from the popup menu.